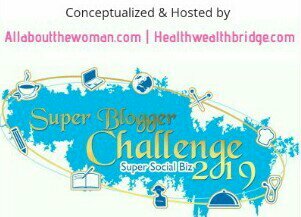 As a blogger who’s been around for three years now, I have participated in numerous blogging challenges, but one can easily mark AtoZ Challeng as the Daddy of all Blogging Challenges, for no other challenge makes you test your commitment and grit as this one. But once you get the hang of it and complete it successfully once, you are bound to come back to it again the following year. 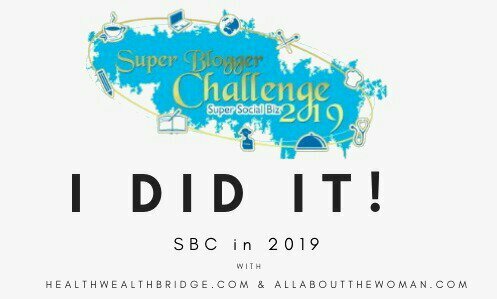 AtoZ Challenge 2019…. here I come! So, here I am this year again ready to strike with all my enthusiasm. But this year my theme is a quite different from last year. While last year it was fiction stories, this year I am going to review books from other authors. But then I had a tough time, all of January, figuring out which books I wanted to review. Though one thing I was very sure about was that I am going to look at books only by Indian authors. Yes, 2019 is dedicated to reading Indian authors only. But then again, which genre? After a lot of looking around and contemplation, I zeroed in on one topic that is very close to me. That’s one reason why I started blogging in the first place. Yes, the cat’s out of the bag! I need to rush! There is very less time and so much to do. If you don’t wish to miss any post during this month, subscribe to my blog NOW, or follow me on my social media handles to get regular updates there. Wow! That’s a great topic! Mine is similar too. So I would definitely drop by to read your recommendations 🙂 Happy A to Z! Happy AtoZ to you too! Really very excited. Parenting Books!! A wonderful theme! Looking forward to read your recommendations on this important subject, this April. Cheers! Thank You Shilpa. Means a lot. A wonderful theme for parents and parents to be. Good luck with the Challenge, Anpriya, you’re going to ace it! Thanks Roshan for dropping by. That is such a specific topic! I have to admit, my knowledge of Indian writers who focus on parenting is negligible. Looking forward to increasing my knowledge. I have read only one book on parenting and that was Positive Parenting by Rebecca Eanes. I would love to know about the books on parenting self-help, will be looking forward to reading your posts, Anupriya. All the best to you! The good part of this series is that these will be books by Indian Authors. I am also surprised by the varied thoughts and ideas of the authors. I love your writing. Looking forward to reading reviews about parenting books. Thank you Ujjwal. This means a lot. Well, congratulation already, Anupriya. Reading 26 books is already a great achievement. I salute your dedication. That’s a wonderful idea. I’m a mom, an obsessive one at that, so this is my kind of theme. Looking forward to your posts. Good luck Anupriya. Have fun. Wow, Anuproya great theme and I just loved it. looking forward to reading your awesome posts this month. wishing you all the best and need the same from you. feeling so nervous and hoping I will complete it. Hey Anupriya, that’s a great theme. I am waiting to fill my TBR list for the month…All the best! Perfect theme for parents, Anupriya! Wish you the best! Interesting topic Anu – great way to ensure your blog niche is incorporated in this – all the best for the challenge!